The Ocean Front Motel is ideally located with the town centre just a 10 minute stroll along the foreshore and board walk and a diverse range of activities and places of interest within easy reach. Ocean Front Motel balcony: Relax and enjoy the panoramic views from your private balcony, including stunning sunrise and sun sets. Treat yourself to a sumptuous dining experience at the award winning sea food Ocean Front Restaurant located within the motel which also has stunning ocean views. 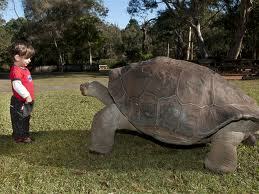 Australian Reptile Park is the "hands on zoo" famous for it's exciting interactive wildlife shows. Open 9am - 5pm every day except Christmas day. Pacific Hwy Somersby, Ph 4340 1022. Visit www.reptilepark.com.au. Coast to Lake Scenic Walk is divided into five stages and includes a timber boardwalk, concrete paths, grass and rock platforms. It starts at Memorial Park, finishes at Tuggerah Lakes Memorial Park and takes about two hours to complete. Ocean Front is located at the start of stage three. Enjoy a dip in one of our patrolled beaches or ocean baths. Beaches are patrolled from the October long weekend until the April Anzac Day weekend. The Entrance ocean baths are located in front of the motel, there's a fifty metre pool and children's pool. Glenworth Valley comprises 3000 acres of privately owned, unspoilt wilderness and has been voted one of Australia's best views by Australian Travellers Magazine. 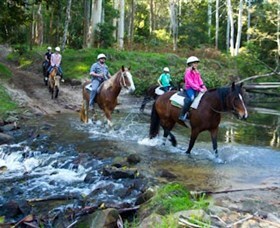 It offers horse riding, quad biking, kayaking and much more. Ph 4375 1222. Visit www.glenworth.com.au. Heritage walk is a sign posted walk around the town centre with photos and depictions of The Entrance in its early days. Ken Duncan Gallery. Ken Duncan is one of Australia's leading panoramic photographers. If you have an interest in photography or art, his gallery is a must see. 414 The Entrance Rd, Erina Heights. Ph 4367 8701. Visit www.kenduncan.com. Pelican feeding at The Entrance foreshore, this happens daily at 3:30 pm rain, hail or shine. It features an entertaining commentary and the spectacular sight of the pelicans being hand fed. It's the Entrance's most popular tourist attraction. Play a round of golf at one of our two local championship courses. Shelly Beach Golf Club: Ph 4332 1103 and Kooindah Waters Golf Club: Ph 4351-0700. Popular shopping malls are Erina Fair on Terrigal Drive, Erina & Westfield Tuggerah on Wyong Rd, Tuggerah. Sail boarding or canoeing on Tuggerah Lakes. Boats can be hired from The Entrance. Tuggerah Lakes foreshore also has 12 kms of bike paths and picnic grounds. Tour Norah Head Lighthouse and listen to tales of shipwrecks and the solitary lives of its keepers. Climb the 96 steps and enjoy the panoramic view. 40 Bush Rd, Norah Head. Whale watching during the months of June/July and October/ November; whales can often be spotted from your balcony. Central Coast Tourism is located at Memorial Park, 1 Marine Parade The Entrance. Give them a call on 4334 4213 and they will happily help plan your day! Designed by One Oak Media.